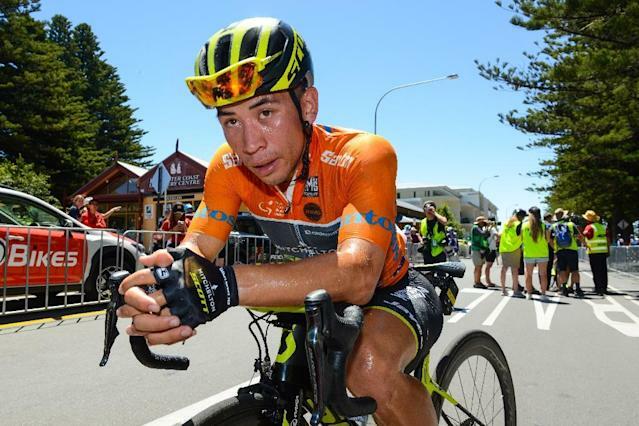 Paris (AFP) - The Belgian Lotto team have signed Australian sprinter Caleb Ewan, winner of a stage on last year's Giro d'Italia with Mitchelton, to a two-year deal. Ewan, a 24-year-old from Sydney, will become the team's number one sprinter, replacing the German Andre Greipel who is moving to French team Fortuneo-Samsic. Lotto posted the news on social media quoting Ewan saying the team "has a great history concerning sprinters and classics". Ewan, who has two Grand Tour stage victories, said that it was significant that Robbie McEwen, the sprinter who holds the record for most stage wins by an Australian on the Tour de France, spent six seasons with Lotto. "I spent many hours as a youngster marveling at Robbie McEwen’s victories." Lotto manager Marc Sergeant said the team had opted to replace Greipel with a young sprinter rather than go for a rider who might contend in the general classification (GC) at multi-day races. "Once again, we opted for a sprinter with potential, just like we did with Andre in 2011," Sargeant told his team's website. "The choice for a sprinter over a GC rider, for example, is twofold. With a sprinter, you have chances for success all year long and the budget to attract and surround a GC rider is significantly higher."